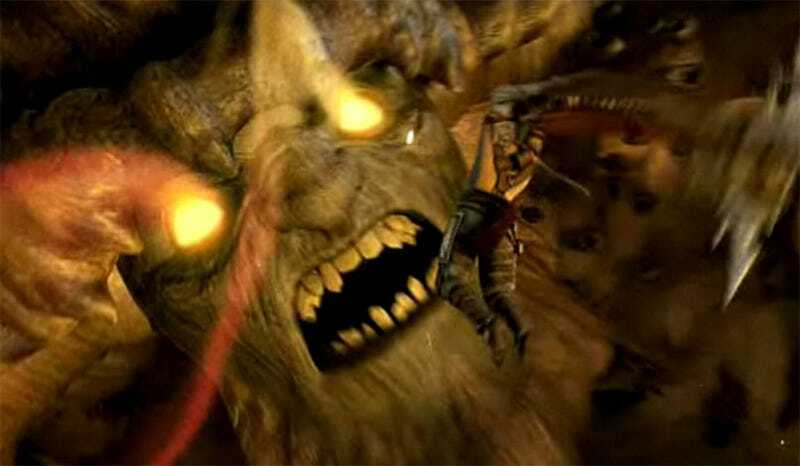 The first trailer for EA's take on Dante's Inferno didn't show much. Looked a little, well, "conceptual". This second clip is much more useful, and should look particularly familiar to God of War fans. The more obvious visual similarities aside, it's a fairly unique (and chompy) version of hell EA have come up with. Dare we say, it looks more Brutal Legend than Depth of Hell. Be interesting to see what thy can do with it, since it looks pretty clear the team won't be sticking too close to Dante's Divine Comedy.